Come home to your stunning new, turnkey two bedroom, one bathroom condo. Enjoy this charming corner unit which is as quiet as a pin drop yet still boasts outstanding light with its east, north and west exposures. Luxurious prewar details such as high beamed ceilings and elegant moldings remain intact, yet have been elevated with modern conveniences such as central heat and air, modern windows with screens, Miele dishwasher, washer/dryer and Thermador chef's kitchen. The exquisite and oversized marble bathroom features a soaking tub and separate shower stall. Best of all, the clever floor plan effortlessly lends itself to a variety of configurations based upon your needs. The Merrion ranks among the top prewar condo buildings on The Upper West Side. Meticulously converted in 2007, this 1915 architectural gem features a breathtaking marble lobby, full-time doorman/concierge, live-in resident manager, fitness room, expansive roof deck, children's playroom and bike storage. 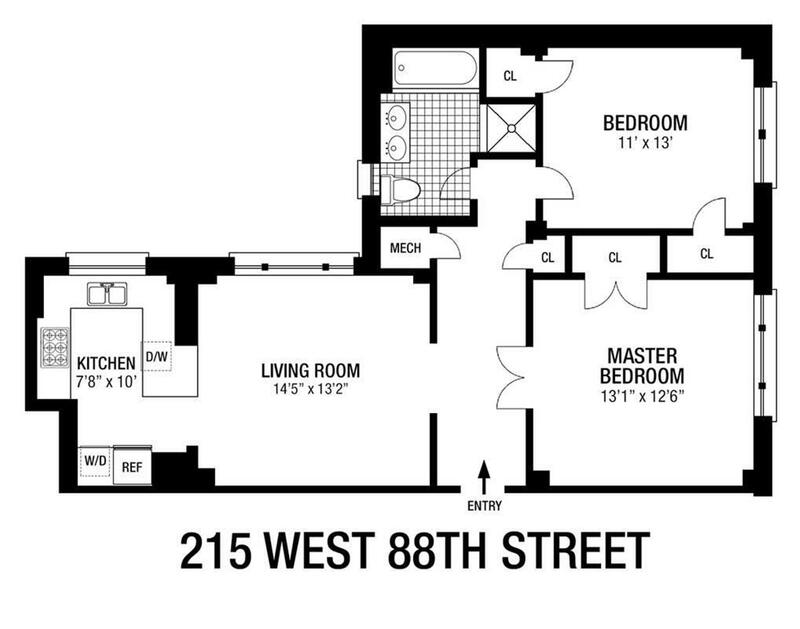 Located in the very heart of the Upper West Side, all of the conveniences that come with living in one of the city's most desired residential neighborhoods are right outside your door!